Allows you to create PowerPoint presentations automatically from Bible texts. 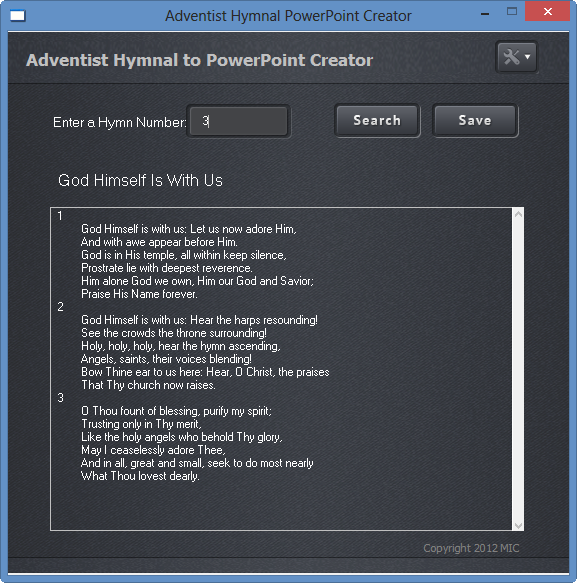 Allows you to create PowerPoint presentations automatically from Adventist Hymnal lyrics. Allows you to edit your website using your web browser. Forgot your software login information? Contact us for your information now.